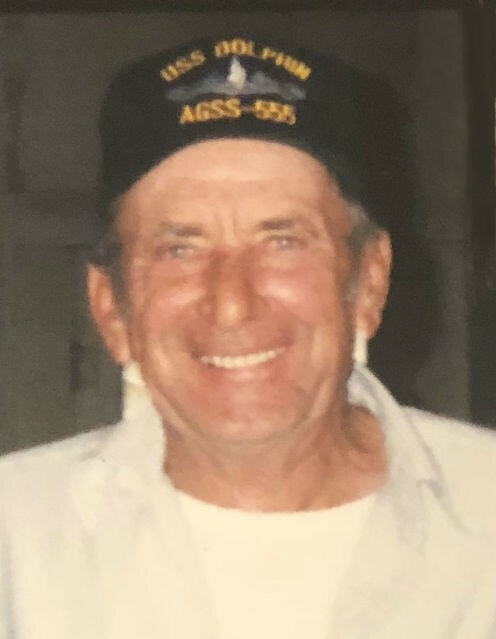 Walter Ray Carroll, age 82, of Gladstone, passed away in peace on August 31, 2018 at U.P. Health System – Marquette following a brief illness. Walter was born on August 22, 1936 in Celeste, Texas, the son of Bonnie and Francis (Patterson) Carroll. After high school, he enlisted in the U.S. Navy and served honorably for 20 years as a navigator on submarines. He served on several submarines and traveled around the world twice, but the most prestigious was the USS Dolphin AGSS-555, the world’s deepest diving submarine. He was an original crew member in 1968 on the research and development submarine that paved the way for future advancements in the field. Many of the missions are still classified and it was the Navy’s last operational non-nuclear-powered submarine. Following his military service, he and his family moved to Gladstone where he worked until his retirement in 1996. Once retired, he became an avid golfer. He loved the Dallas Cowboys, the Detroit Tigers and, along with his buddies, being the first and last golfers of the year on the course. Walter was a wonderful father, grandfather, and friend who will be truly missed by many. Walter is survived by his daughters, Wendy (Tim) Foliano of Dexter, MI, and Amy White CDR, NC, USN of Bethesda, MD; grandchild, Taylor Lemerand of Seattle, WA; one sister, Myrtle Ruth Wolverton of Copeville, TX; and many nieces and nephews. In addition to his parents, Walter was preceded in death by his daughter, Kelly Anne Carroll; and two sisters, Mary Lou Barnett, and Leta Faye Carroll. His family is very grateful to his friends who came to visit him in the hospital. Special thanks to all the medical teams at OSF St. Francis Hospital and Marquette General Hospital, along with Walter’s neighbor, Darbi, and friend, Bill, who helped tremendously. In keeping with Walter’s wishes, no services will be held at this time. In lieu of flowers, memorials may be directed to the donor’s choice of charity.